You Dream It and Nica Yoga Creates It! While designing a retreat with Nica Yoga, you will work with our director who will help coordinate scheduling, transportation, accommodations and reservations to help bring your desired experience into reality. Communicate your theme and expectations, advertise, and bring the participants; we take care of the rest. 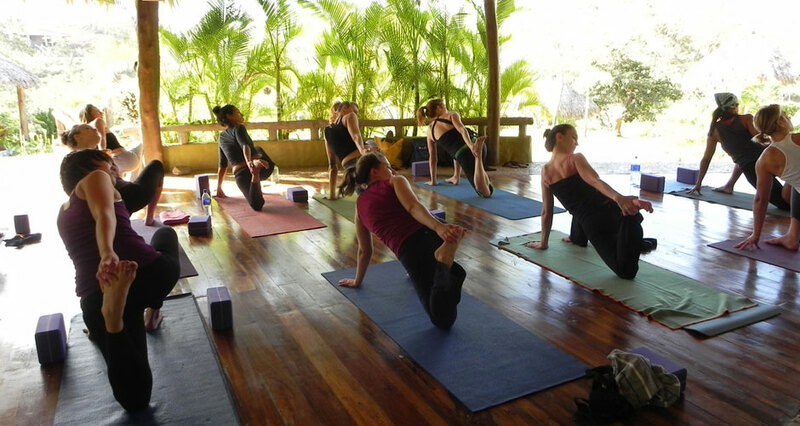 Bring your group to wonderful San Juan del Sur, Nicaragua for an incredible Yoga and vacation experience. Nica Yoga invites you to schedule your retreat. As dates are confirmed we will post upcoming retreats with links to the group leaders website or email. You will notice that we create most affordable retreats you have ever seen. By having in house instructors we may assist our guests with an authentic experience that is unique to San Juan del Sur (which has all of the charm of a fishing village that has grown up). Good will and interactions with our local community are encouraged. We can also assist you in any extra activities that you may want to partake in (see list of activities), but you will never have to feel the pressure of being obligated to attend something that you have already paid for. Our motto is: Keep it simple. Keep it affordable. Don’t over entertain, which allows guests to “innertain”. Each participant may partake in whatever level or quantity of activity they desire, when they desire. With our first class accommodations (all custom homes, western style mattresses, potable water, hot water showers, saline lap pool, restaurant, the only wooden yoga floor in San Juan del Sur and a wonderful staff); we were the first yoga retreat operator in Nicaragua and are only yoga community in Nicaragua. Our simple formula allows our guests to return from their retreat completely rejuvenated. With our affordable and personal approach to Yoga Retreats we look forward to seeing the same guests and instructors return year after year! Sign up with us to receive updates on happenings at NicaYoga. © Copyright - NicaYoga | Artwork: "Namaste" © Lindsay Satchell Designs Photography & Web © Mick Follari/CreativeSpark Additional photos courtesy of Tara Foulton and Jason Rice.